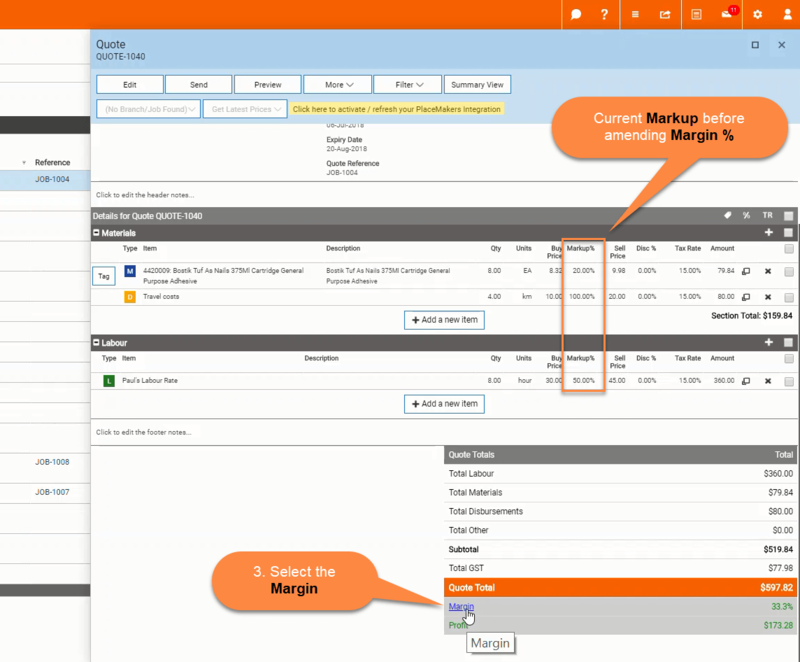 Setting a Margin for Quotes & Invoices – Welcome to the NextMinute support and feedback centre. 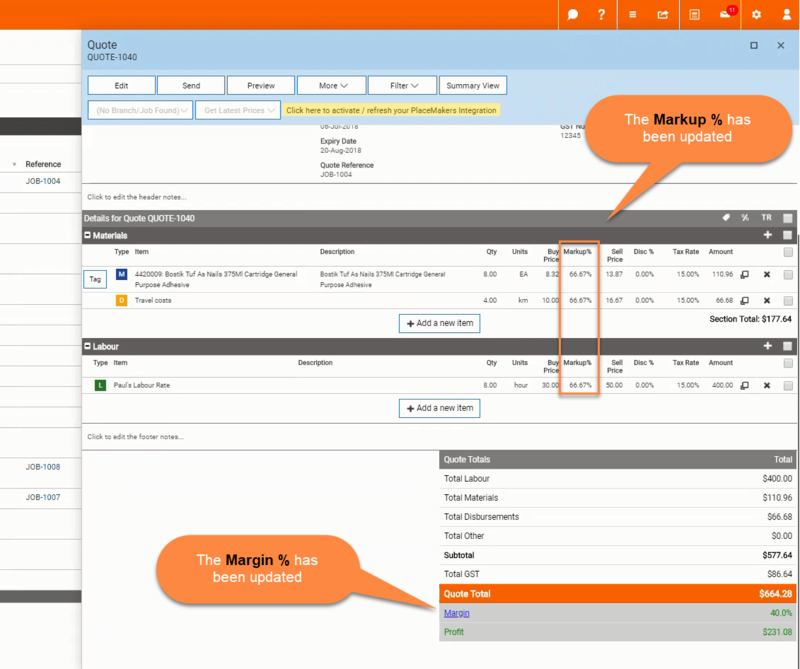 In this article we guide you on setting a margin for quotes and invoices and this will update all your markups. Margin: Sales minus costs of goods sold, so it is the percentage difference between the selling price and the profit. Markup: Percentage difference between the actual cost and the selling price. 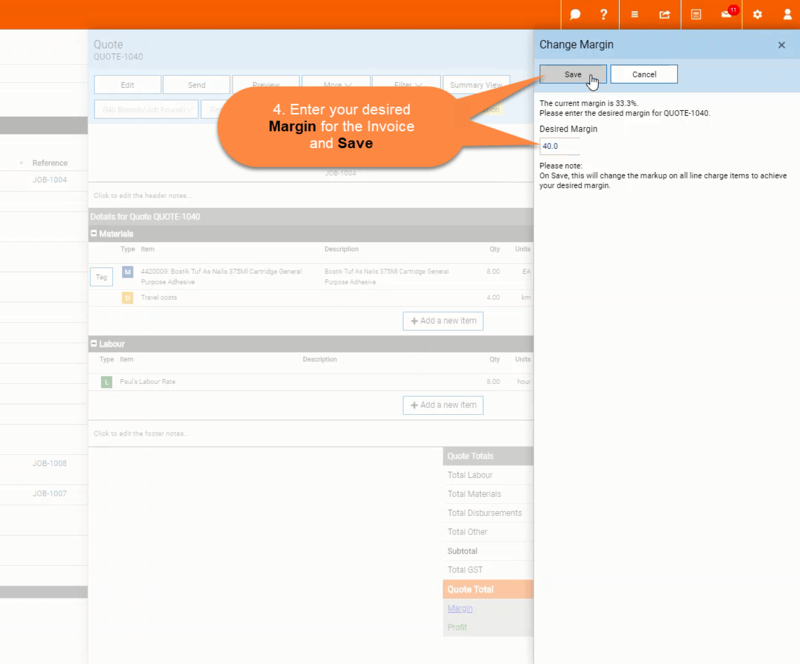 The Markup and Margin percentage should be updated and invoice changed.